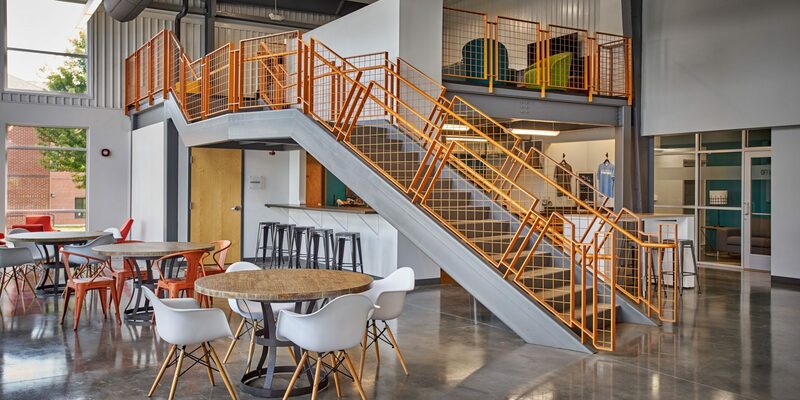 The GSM building located on the campus of Grace Baptist Church in Knoxville, TN was designed to enhance the student ministry’s mission to create environments that allow students to connect with each other and provide opportunities for them to hear the gospel and experience Jesus in new ways. In developing this building project, they were looking first of all to create a space where teenagers in the community could find a sense of belonging. They believed this facility could become a “third space” outside of a student’s home and school where they could spend time with friends, work on homework, and most importantly experience Jesus. 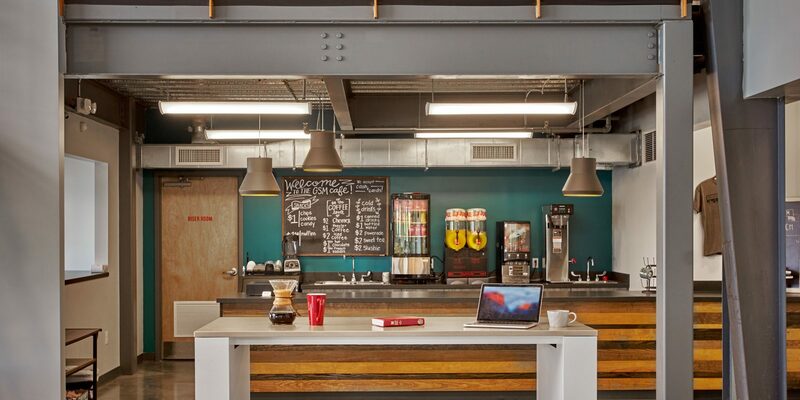 This environment needed to be relational and fun and these became key ideas for the design and construction team of Studio Four Design to focus on in developing concepts and alternatives for the design. 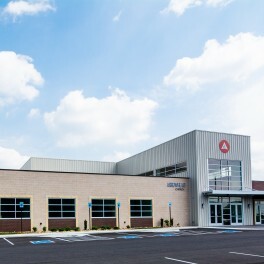 The new building needed to compliment the transitional style and materials of the existing church campus buildings but also need to be uniquely its own to reflect the brand and identity of Grace Student Ministries. 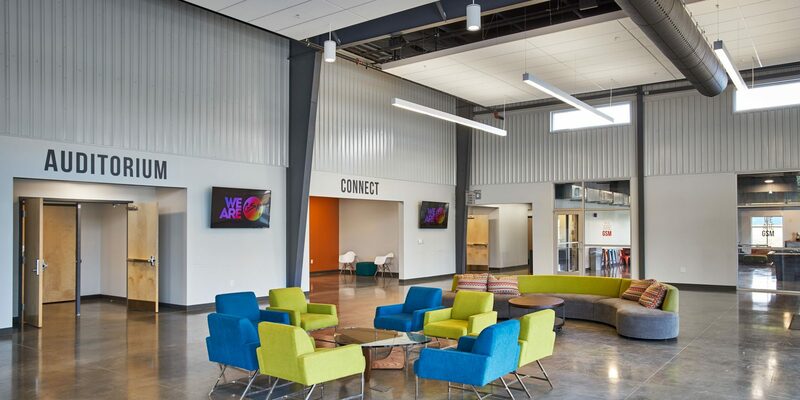 The café, foyer, and game rooms were developed as key spaces for students to spend their time during the week as well as serve as support spaces for Wednesday evening worship services and other functions outside of student ministry use including chapel services for Grace Christian Academy, a K-12 school located on the church property. These functions attract and draw students into the building every day after school investing in community in a place specifically designed for them. The classroom environments are great small group and training spaces that are utilized to help our students and volunteers grow deeper in their faith. A prayer and care room also helps students connect with adult leaders for counseling and support every week. The centerpiece of this facility is a new student auditorium. After outgrowing the capacity of their previous student worship center Grace realized that God hard at work and calling on Grace Student Ministries to reach more students with the gospel. 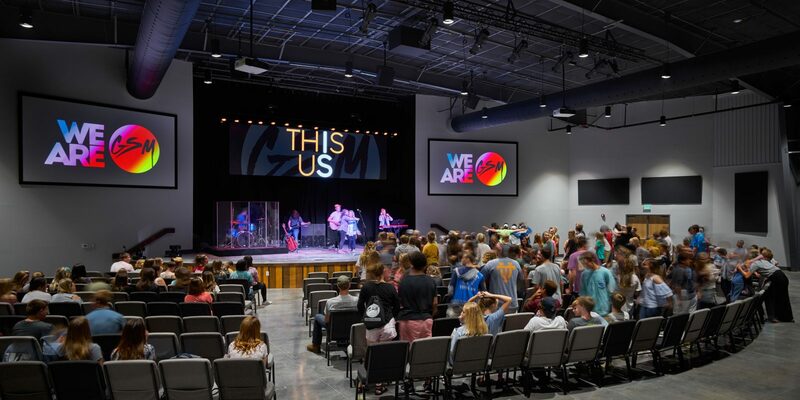 This new facility provides room for 700+ students in their midweek service and is designed for a flexible arrangement of seating layouts and formats. The room performs perfectly for a service with chairs in rows and other events with round tables. This has allowed Grace to offer this faculty up for the community and has allowed it to be used for school graduation banquets, community prayer breakfasts, leadership conferences, and weddings. Within a total project budget of $4.5M, the GSM building was constructed at a cost of $3.6M. 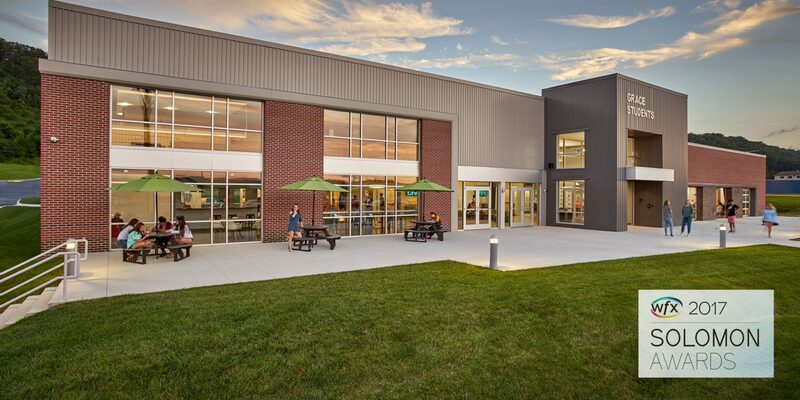 Merit Construction was able to deliver this project on time and within the budget constraints of the church while working on a project site in the center of an active church and K-12 school.